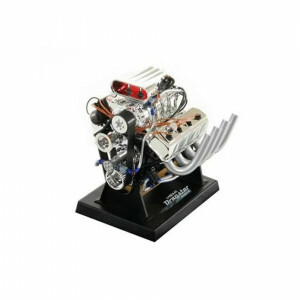 Shelby Cobra 427 FE Engine Model 1/6 Scale by Liberty Classics_x000D_Brand new 1:6 scale Shelby Cobr.. Dodge Hemi Top Fuel Dragster 426 Engine Model 1/6 Scale Model by Liberty ClassicsBrand new 1:6 scale..
VTech Go! Go! Smart Wheels Freight Train with Tanker CarFred the motorized Go! Go! Smart Wheels Frei..